Making the decision to straighten your teeth is much easier when you know that Invisalign treatment lets you live your life the way you want to. Here are 5 unexpected ways Invisalign can help you get the smile you’ve dreamed of as well as ensure you stay healthy. With Invisalign aligners, you don’t need to worry about the gum and mouth irritation other teeth-straightening methods can cause. It’s a pretty amazing product on the market that allows you to straighten your teeth without the use of traditional metal braces. Not only is Invisalign for adults, it’s perfect for tweens and teens who need Orthodontic treatment. Invisalign is a great option for teens and tweens because they are nearly invisible. You don’t have to see the wires and metal brackets. The clear, smooth, virtually invisible trays don’t add any bulk or any visible signs of treatment. Your tween won’t have to worry about being embarrassed or feeling awkward with Invisalign. Special occasion coming up? No problem — just take your aligners out for that time and pop them back in when you’re ready. Of course, even when you’re wearing them, most people won’t even know you’re going through treatment because they are virtually invisible! 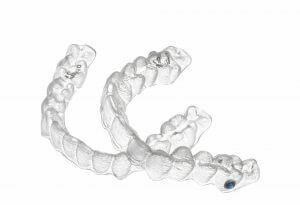 Unlike other types of braces, Invisalign comes with a much more lesser pain. The Invisalign system of trays fit snugly and naturally, and they’re changed out every week for a new set. Where those wearing braces would normally experience extra irritation, rubbing, cuts, etc. Invasilign wearers will always experience smooth sailing! Invisalign is cleaner, easier to maintain, and of course, you don’t have any stuck food particles. This means you don’t have to worry about cavities caused by food getting stuck around brackets and your tween doesn’t have to stress about the special flossing that comes with wearing traditional braces. You do, however, have to brush both your aligners and your teeth before putting them back in after a meal. 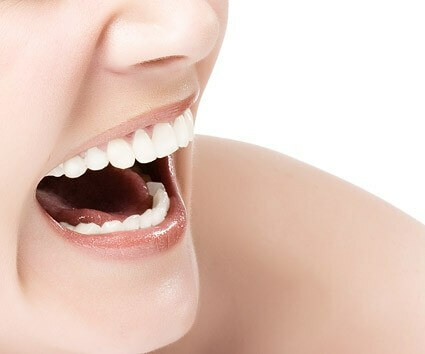 Tooth decay and gum disease are caused by bacteria. Left untreated, they can cause mouth sores, tender or bleeding gums, bad breath, and possible tooth loss. Do Babies Need a Dental Routine?